Are Melbourne's Best Wedding Locations In Melbourne? Melbourne is one of Australia’s most beautiful metropolitan areas, and you’ll find that it offers many beautiful places to get married. You can tie the knot in one of the beautiful churches dotting the city, or you could always go for a less traditional wedding at one of the myriad beautiful Melbourne wedding ceremony locations. But what if you looked beyond the city itself, and considered beautiful Melbourne wedding ceremony locations outside of Melbourne? Forest Glade Garden — The colour and life in this garden will take your breath away, and you’ll love the wide range of beautifully exotic flowers. Autumn is a beautiful time of year in this gorgeous garden, and you’ll find that it’s a wonderful place to get married. You can find it on Mount Macedon just a few hours away from Melbourne. Alfred Nicholas Memorial Gardens -­- Located on Mount Dandenong, this garden is home to an exquisite path maze that leads you through a promenade of gorgeous ash trees. The cute little gazebo makes for a great wedding ceremony location, and you’ll love the colourful hydrangeas that surround the elegant little garden. Tieve Tara — Not only the name of this garden makes it stand out from the rest, but the beauty of it will transport you to what feel like a magical paradise for your wedding day. It’s on Mount Macedon, right across from the beautiful Forest Glade Garden. From the ponds to the walkways to the bridges to the beautiful greenery, this is a little slice of heaven that makes for a wonderful wedding venue. Cruden Farm — This adorable farm is located just an hour away from Melbourne, in the town of Langwarrin. The manor house is an elegant affair, and it contrasts nicely with the simple beauty of the sprawling grounds. You’ll love to stroll through the many acres of land, and it is a place where your wedding dreams can come true! Attunga Garden — The rolling green lawns feel perfect to the touch, but the flowers provide bright contrast in this gorgeous venue. You’ll love the flower-bordered walkways, the elegant trees, and the cute little gazebo where you can hold your wedding ceremony. It’s a garden that mixes the classic beauty of nature with the modern elegance of architecture. These gardens make for wonderful wedding spots, and they’re definitely worth your consideration as wedding venues! 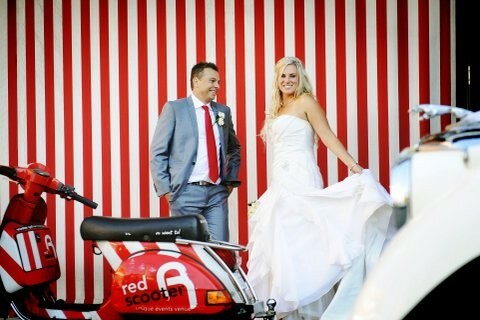 If, however, you want to get married in Melbourne but still want to stay away from the traditional white wedding, come on down to Red Scooter and see what we have to offer. We’re a wedding venue like no other in Melbourne, and you’ll be amazed by just how creative we can get when planning your wedding. 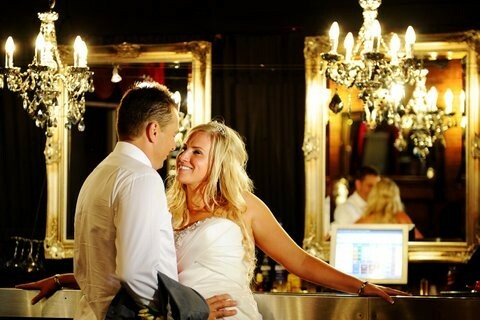 Our award-winning wedding venue is at your disposal! ← The Best Work Christmas Party Ideas Are Crazy!